Breaking News: An App that turns your Video Game into a Comic – Girl Gamer, Esq. 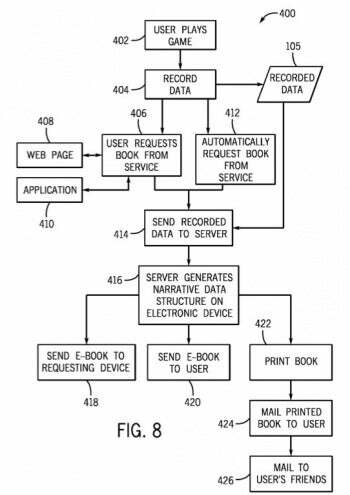 Apple just filed for a patent for a computer program (app) that can turn a user’s video game experience into a personalized comic, able to be printed, and physically held like a real comic book, or explored entirely online, through your personal cloud remote (iPhone/iPad). What an idea! And there’s a machine AND a transformation involved, so even if the Supreme Court disallows pure business method or software patents, this one could potentially stick around for quite some time. Very interesting patent, patent 20100203970, seems fun. I wounder if it will include the 750 times I failed to slay Sindragosa or just the 751st when I finally won…. The power of revisionist history in every gamers hands. I am sure the idea is marketable. But I am not sure it is machine dependent or original. Custom life experience comics are already in commerce, her is one example from thisisyourlifestories.biz . Apple has automated the process and focused it to gaming.